So I'm sitting with Susan in Torres Tapas Restaurant, enjoying their tortilla and patatas bravas, washed down with sangria, and we're talking about Easter. "It's the most important event in the Christian calendar," she tells me. "I thought that was Christmas," I say. "That's just the most celebrated," she says. "Easter is more important because of its message." "Chocolate tastes nicer as an egg?" I say. "Death is not the end," she says. "Better," I say. "Have you noticed how you get Christmas films but not Easter films?" "You've forgotten Yogi the Easter Bear?" she says. "And what about Easter Bunny, Kill! Kill! There's loads of Easter films." "But they're not classics," I say. "It's a Wonderful Life is the feel-good Christmas film of all time. Used to be on every year. My mum and dad loved it. My dad looked like James Stewart." "The director's story is inspiring too," she says. "Frank Capra. He came to America from an Italian ghetto as a boy and became a huge influence in the film industry. His name means 'goat'. The word 'capricious' come from the same root." "You're very well-informed," I say. "Always," she says. "After a hellish, two-week voyage down in steerage, they reached New York at night. His dad pointed to the Statue of Liberty holding the torch and said, 'Cicco, look! That's the greatest light since the star of Bethlehem." At this point the conversation gets harder because good beats start to play. I like Latin because it has strong rhythms but I don't know much about it, so I couldn't tell you if it's samba, rumba, salsa, meringue, flamenco or something else that we're listening to. All I know is that my body has started moving in ways that would get me arrested in several Scottish communities, where singing and dancing, and the fornication they lead to, send souls straight to hell. It's a long time since the lower half of my body did anything that could get me into trouble. Usually it's my hands that incur displeasure these days. They play involuntary paradiddles and double stroke rolls on tables, chairs, floors, walls and sometimes even people. Which is annoying of course but what can you do? So I ask the smiley waitress what we're listening to, and at this point my memory and Susan's diverge, as I discover when we get back to her house and I go on Google. "That was never Charlie Watts' band," I say. "The waiter said it was the Rhythm Kings." "No he didn't," she says. "He said the Gipsy Kings." "That makes more sense," I say, as seven swarthy, southern faces smile out from my screen. "They play a style of music called rumba flamenca, it says here. But these guys are all on guitar. Where's the drums?" "You get lots of percussion with Spanish guitars," she says. "But I'm sure I heard more than that," I say. "Here we go. Guy called Rodolfo Pacheco. 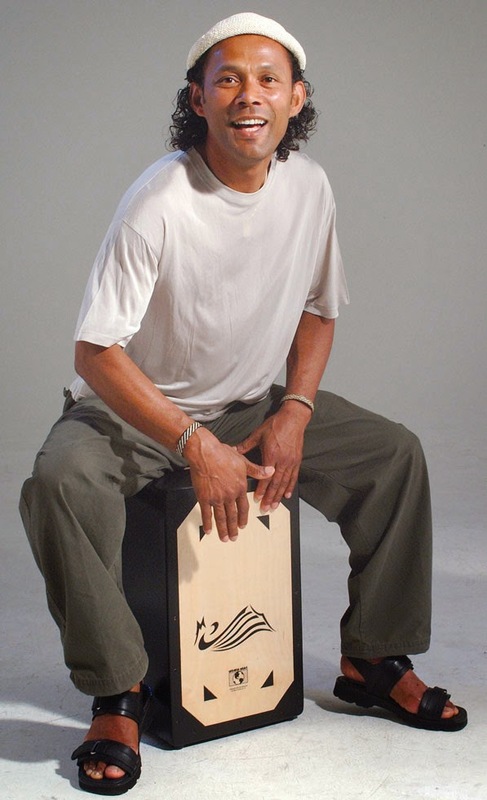 Plays the cajón. Great sound. Quite similar to percussive guitar." "Never heard of it," she says. "Is the plural cojones? Because you don't get a great sound when you hit them. Just a dull thud followed by a scream." I shake my head. "I'm not going to ask how you know that. I think it would be cajones. Subtle difference. Here, have a listen," I say turning my laptop towards her. "That's just a guy in a beanie hat sitting on a box and smacking it with his hands," she says. "The kind of nuisance who'd do the same on your coffee table." "I think it's fantastic. I want one." "Oh god," she says. "When are you going to get this drumming malarkey out of your system?" "I don't think you can," I say. "It's in the blood." "I blame the Rev Bazil Meade," she says. "When you got me that fantastic session with the London Community Gospel Choir. He said you had black man's rhythm." "He did. I believed him. I just wish I'd realised it when I was young." "Yeah, great," she says. "By this time you could be playing gigs to crowds of 50 people in town halls across the country, and living out of a van." "Exactly," I say. "What's the point of discovering you're a drummer when you're 93 years old? One lifetime is not enough." "The message of Easter is you can have eternity," she says. "If you want a message try Western Union," I say.